Are you ready to take your students on a trip of a lifetime to this amazing country? Staying in both Beijing and Xi’an, you can enjoy unique regional experiences such as acrobatic shows, bike rides in the local area, and visits to a fascinating range of temples, markets and historic places. 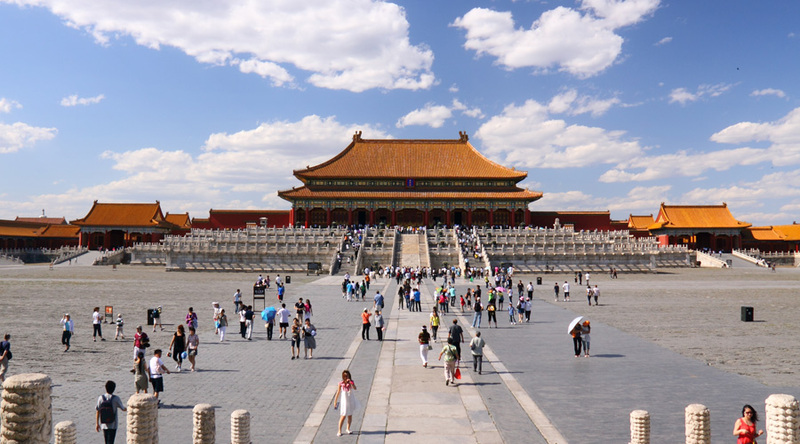 Tiananmen Square: the Square of The Gate of Heavenly Peace is the original gate of the Forbidden City. Thousands of people visit the Square everyday. It has borne witness to a great deal of modern history, including the June 4th massacre of students in 1989 and is the recognised location of where Chairman Mao Zedong declared the establishment of the People’s Republic of China on October 1, 1949. The Palace Museum: a national museum housed in the Forbidden City which was built on the imperial collection of the Ming and Qing dynasties, expanded in the 20th century with new acquisitions and archaeological discoveries. TheTemple of Heaven: originally the place where emperors of the Ming Dynasty (1368 - 1644) and Qing Dynasty (1644 - 1911) held the Heaven Worship Ceremony, this is China's largest and most representative existing ancient sacrificial buildings. Great Wall Ba Da Ling: the site of the most visited section of the Great Wall of China. The portion of the wall running through the site was built in 1504 during the Ming Dynasty, along with a military outpost reflecting the location's strategic importance. Olympic Park with visit to Bird’s Nest & Water Cube: otherwise known as Bird's Nest, this was designed as the main stadium of 2008 Beijing Olympic Games. The Flying Acrobatic Show: performed by highly-trained Chinese acrobats and circus performers, features amazing feats, beautiful choreography and a kaleidoscope of colour from contortionist acts to high wire stunts. The Summer Palace is the largest and most well-preserved royal park in China: It greatly influences Chinese horticulture and landscape and is famous for its views. The Tang Dynasty Dinner Show: a combination of a traditional Chinese dumpling banquet and the fabulous Tang Dynasty dance and music. Tang Dynasty (618 - 907AD) was the most prosperous dynasty in Chinese history and also the climax of China’s development in music and dance. 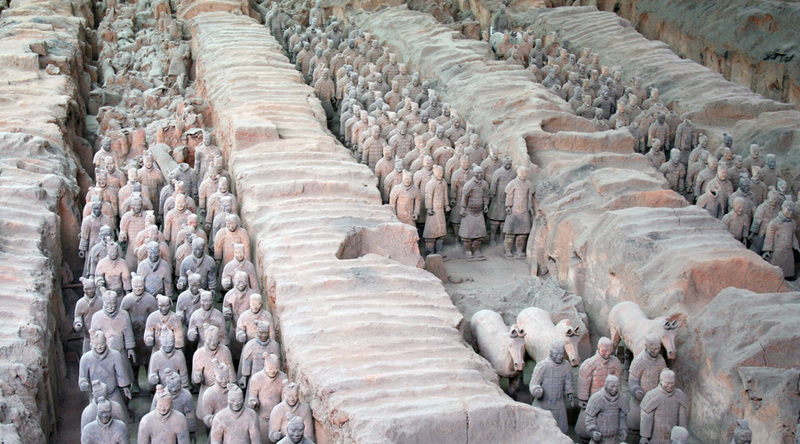 The Terracotta Army and Craft Museum: one of the world’s greatest archaeological finds, the Terracotta Warriors were discovered quite by chance in 1974 by a group of peasants who were digging a well on the outskirts of Xi’an. See sculptures of soldiers, chariots and horses, which were funerary statues made to accompany China’s first Emperor, Qin Shi Huang, to the afterlife. In Beijing: Ping An Fu Hotel Beijing, this hotel has 82 luxury rooms with cable and satellite TV and air-conditioning. It offers food delivery, laundry and international telephone services and all rooms have broadband. Its restaurant specialises in Beijing guanfu, Shandong and Sichuang cuisine. In Xi’an: Forest City Hotel Xian, located in the city centre this hotel is a 10-minute walk from the famous Bell Tower and Muslim Street. It has a restaurant serving a selection of local dishes, free wired internet access and air-conditioned guest rooms with a fridge, a work space and a TV. Arrive at Beijing International Airport and meet your Beijing tour managers and coach. Stop for a snack at BHG Supermarket. Lunch at a local restaurant. After lunch visit Tiananmen Square. Then make your way to your accommodation. Meet with your coach and leave for a Hutong walking tour with a local family visit. Evening meal at a local family’s house inside Hutong to experience the daily life of the local people. Depart by coach for the Forbidden City. Lunch at a local restaurant. After lunch visit the Temple of Heaven in the Chongwen District. Afterwards go to Pearl Market in the Hong Qiao shopping centre. Evening Chinese dinner at a local restaurant. Depart by coach for the Great Wall Ba Da Ling. Enjoy lunch at a local restaurant. Afternoon visit to the Olympic Park with a visit to Bird’s Nest & Water Cube from outside. Evening meal at a local restaurant. In the evening enjoy an acrobatic show. Visit to a local school. Enjoy your lunch with the students, provided by the school. Check out of the hotel and depart by coach for Summer Palace. Lunch at a local restaurant. Depart by coach for the market. Evening meal at a local restaurant. Take the overnight sleeper train to Xi’an and meet your Xi’an tour managers. Morning visit to the Wild Goose Pagoda. Enjoy lunch at a local restaurant. Afternoon visit to the Bell and Drum Tower Square. Then make your way to Xi’an City Wall for a bike ride. Enjoy an evening performance of the Tang Dynasty show followed by a dumpling banquet evening meal. Morning visit to the Terracotta Army Museum and a local craft factory. Lunch in a local restaurant. Afternoon visit to the Banpo Museum. Dinner in the restaurant at Xi’an City Hotel. 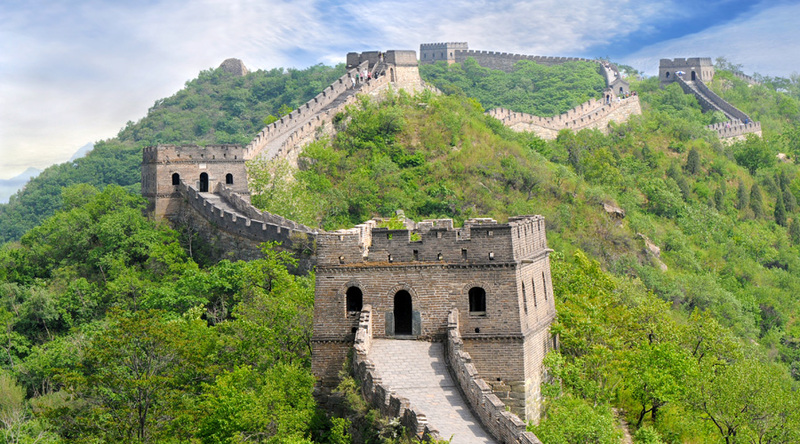 Take the overnight sleeper train to Beijing and return to your hotel in Beijing. Morning visit to the Lama Tibetan Buddhist Temple. Lunch in a local restaurant. Meet your coach to depart for Wangfujing Street for some shopping. Evening meal at a local restaurant. Check out of your hotel and make your way to the airport to begin your journey home.